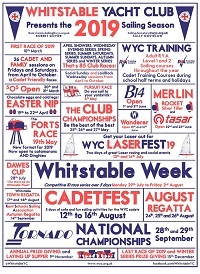 The Vattenfall Forts Race Weekend was held on 12th and 13th September at Whitstable Yacht Club. The premier catamaran long distance race was held on the Saturday, in a shifty F3-F5 southerly wind, giving the 20 catamarans taking part some tricky conditions on the initial tight kite leg out to the Red Sands Forts in the middle of the Thames Estuary. Nicholas Barnes and Neil Bladry were early casualties when they flipped their viper in a strong gust. They proved the benefit of carrying flares in a long distance race when one of the team was separated from the boat, to be picked up by Peter Wilson and Steve Hodges in their Tornado. Once returned to their boat, they righted it on their own, but headed for home. 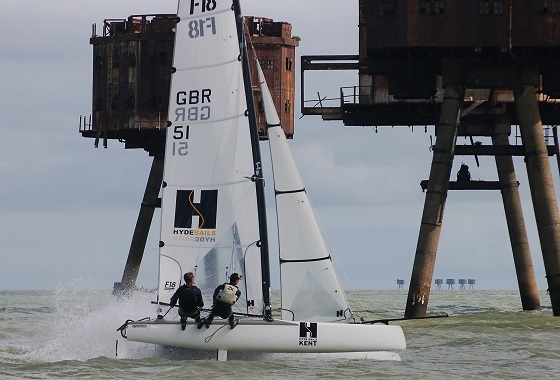 Grant Piggott and Stu Smith were the first boat back to the gate at Whitstable Yacht Club in their foiling Nacra 20 FCS, narrowly beating Will Sunnucks and Chris Neal in their Flying Phantom Foiler. The race then headed out to a buoy off the newly finished Vattenfall Wind Farm extension , which actually started to generate electricity for the first time during the race! The Flying Phantom Foiler suffered gear failure on the way out to the Windfarm buoy, and had to retire, allowing the Nacra 20 FCS to lead the way for the rest of the race and take the Vattenfall Trophy for line honors. In the non-foiling boats, the Shockwave F18 of Simon Northrop and Simon Fraz Farren separated early from the pack to build up a lead on the water of over 12 minutes on the next placed boat over the following 2 legs, to Herne Bay Pier, and out to Spile Buoy. The Tornado of Paul Mines and Stu Smith chased them around the course, but couldn’t quite catch them up, coming home third on the water. Further back, Peter Wilson and Stephen Hodges lead the main pack in their Tornado after returning to the race following their rescue of the Viper sailor. Robert Govier and David Figgis in their Capricorn F18, Ghislan Melaine and Greg Crease in their Cirius F18 and Richard Ledger and Tom Bruton in their Nacra 17 had a close race for the next place, regularly swapping places on the water. After falling back on the Herne Bay leg, Robert and David managed to catch up and overtake the other two boats on the final punishing leg out to Spile Buoy, to come in fifth on the water, with the Cirius in sixth and Nacra 17 in seventh. In the ‘Short Race’, six Dart 18s set off to do the Forts and Wind Farm legs, with three making it around the two legs. After 2 ¾ hours on the water, less than 5 minutes separated the boats on the water, and only 16 seconds between 2nd and 3rd! Mark Robson and Kerra Pearce lead the group round to take line honours, with Mark and Stephanie Howleger in second place, and Tony Dod and Lugh Horner in third. The finishing boats on the full course had raced on a course over 47 miles long, with the leading boat finishing in just over three hours, and the last placed finished taking a little over 4 hours, sailing at all wind angles in a mix of sea states from very choppy to almost flat, and got to see all the sights in the Thames Estuary off the Whitstable coast. The Dart 18s racing the ‘Short Course’ covered over 26 miles in 2 ¾ hours. 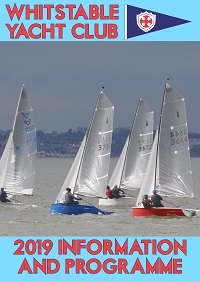 On Sunday Whitstable Yacht Club hosted a shorter single lap race around the Ham Gat buoy, in very light conditions. The conditions didn’t suit the foiling boats, and the race was won both on the water, and on corrected time, by Simon Northrop and Simon Fraz Farren on their Nacra F18. A great time was had by all, including those who had to cut their race short. There’s nothing quite like sailing to a point on the horizon at full speed under race conditions, and the race is set to return in September 2016. For the full results, see wyc.org.uk/on-the-water/results. Photos will be posted shortly at championmarinephotography.co.uk.